When you live paycheck to paycheck, it can be tough to find enough extra money to do things you want to do. In fact, it can be almost impossible to have any extra money for entertainment or cushion in case of an emergency. It’s good to have some tricks up your sleeve that can help you get some extra pocket money to spend how you please. This guide is going to help you with that! These tactics can all be done using the internet. 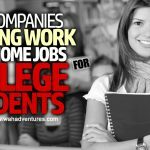 They’re among the easiest, quickest ways to earn money in your spare time without spending tons of hours outside of your normal work hours to do them. Reward sites are also known as incentivized freebie websites, Get Paid To (GPT) sites, and many other names. They all mean the same thing though. 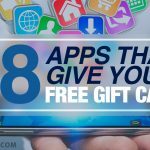 These awesome sites will give you some extra money or gift cards just for completing small, fun tasks. On the following reward sites, you can do things like watch videos, refer friends, complete bonuses, sign up for offers, take surveys, and even play games for some extra cash. I’ve personally used all four of the sites below and have received payments from them (multiple, in fact! ), so I’m confident in recommending them to you. I’m sure you’ve heard of taking surveys online. You might be skeptical about how well they work to make you money. I get it – I was skeptical about them at first too. However, I’ve now used survey sites for several years and consistently make some extra money in my spare time. Surveys can take some time to finish, but the longer the survey takes, the more you’ll get rewarded. Some surveys even pay nicely for only taking you a few minutes to complete. I don’t suggest signing up for any survey site, though, because they definitely are not all the same. The ones below are some of my favorites because they have the most opportunities and you can generally find at least one or two to qualify for every week. And, they all are proven to pay! Reading emails for cash isn’t one of my favorite ways to make extra money, but it does work. 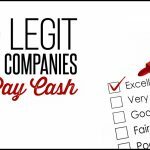 Since many of these sites also let you complete other tasks, you can use paid emails as a way to earn a little extra in addition to making money in other ways. The way this works is similar with most sites. You’ll wait for paid emails to arrive in your inbox, or you can check your inbox in your account on the website. Open the email and read it. Be sure to click on the link within the email, which usually takes you to an advertiser’s landing page. Then you’ll see your money or points credited to your account. It’s a simple way to rack up more money in your reward accounts! Yes, you can get paid to listen to some excellent music online! The following sites will give you some money to listen to music. Slice the Pie is one of my favorite sites. It lets you review new music by providing your honest feedback. Not only do you get to preview new music by budding artists, but you get paid to do it. The better your reviews are, the more opportunities you have, which means the more money you make. Even if you don’t aspire to be a journalist or blogger, you can still make money writing articles and blog posts if you have decent writing skills. In fact, a lot of professional writers get their start working with article writing websites until they build up a portfolio and get some work under their belt. Other people just use their writing talent to earn some extra money online by writing articles for people who need them. The great thing about writing articles and blog posts is that the need for them just continues to keep growing. Businesses and publications need writers like you to keep them growing and getting their messages across! Although you can pitch story ideas to your favorite publications for cash, it can be tough to get accepted if you don’t have any published pieces yet. If you’re a total beginner, it’s a good idea to start with some of the below sites to find some writing gigs and start getting some pieces together for your portfolio. Microtasking is a super flexible way to earn some extra pocket money. These tasks are called microtasks because they’re usually very quick. You can do things like categorize images, type information from receipts and pictures, data entry tasks, and more. You’ll get a small amount of pay for each task, but since they’re so quick, you can get several of them done in a short period of time. Amazon Mechanical Turk is probably the most well-known microtasking site. It has tons of jobs available at any given moment and you can receive your pay quickly after clients approve your work. The best part is that you can complete microtasks whenever you have some extra time available, so you don’t have to be tied down to a schedule. Have you ever seen giveaways and sweepstakes on your favorite blogs? If you haven’t entered any yet, then maybe you should start. Blog giveaways used to offer mostly prizes, like free samples of a product the blogger reviewed. More recently, a lot of bloggers have started offering cash prizes in addition to product prizes because they know that cash sells. More people will probably want to enter a giveaway if they know a cash prize is involved! So keep an eye on your favorite blogs and enter those giveaways for your chance to win money. 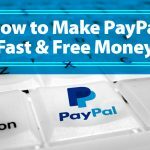 A lot of bloggers give away the cash as a PayPal payment so it’s quick, easy, and secure. 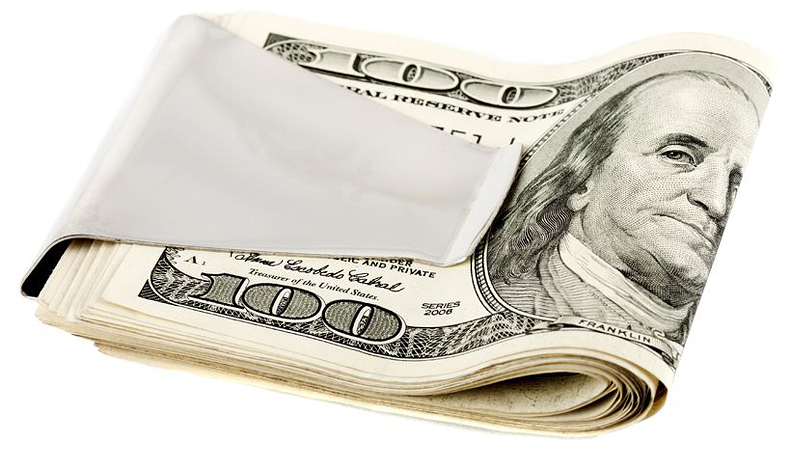 I’m sure you have some type of skill that can make you some extra pocket money online. If so, freelancing is the best way to go about using that skill. Do you know how to create graphics? Maybe you’ve had some experience developing apps? Or, maybe you’re good at data entry tasks? Wherever your skills fall, you can probably find a client who needs them. Freelancing is great because you’re your own boss and can create your own terms for work. Work when you want, with who you want, and how you want! There are several freelance marketplaces that help you find clients who need those skills quickly. Fiverr lets you do this by offering up your own gigs and naming your prices. Or, you can use sites like Upwork and Guru to browse open gigs that match your skillset. If you have a bunch of stuff you no longer need, then you can sell them online to get your pocket money! Selling online has become such an easy process with sites that do most of the hard work for you. You can typically list items in just a few minutes, stay in contact with buyers through the platform, set your prices to get what you want, and more. Sell things like old clothing, collectibles, handmade items, DVDs, electronics, and more. Tutoring students online has become a favorite form of making money for college students and stay-at-home parents who need a flexible way to make some money. Tutoring is usually very flexible. Depending on the site, you may have to commit to a certain number of tutoring hours per week, but you can usually choose when you complete those hours. Other tutoring sites are totally flexible – use them whenever you have some extra time. Tutoring sites accept tutors in a wide range of subjects, so you can probably find something that fits your skills or interests. You can also earn some extra money by utilizing the people in your neighborhood! These local jobs can make you pocket money by helping out local companies or people in your community. 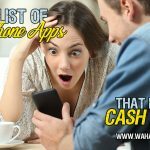 Use your mobile phone to find money-making gigs near you! The following apps help you find local gigs that pay. Use the apps to visit stores and complete quick tasks or find neighbors who need someone with special skills – like landscaping or handywork – and are willing to pay. You can sell stuff online, but that doesn’t mean that selling items locally is a thing of the past. Some items just aren’t cut out to be sold online, like large furniture pieces or very heavy items. The shipping costs alone would likely make you lose money on your sale. In this case, you may want to try finding local buyers for your stuff. Local selling can also be super quick when you use the right places. I’ve had a lot of luck with Facebook groups. Search for buying and selling Facebook groups in your area. Post a listing with pictures of what you want to sell and include a price. I typically get responses very quickly and can set up times to meet interested buyers within a couple of hours! Did you know that you can make extra money by delivering things around your neighborhood? From delivering food to families to delivering lunch to local offices, you can probably find a lot of opportunities to service people in your neighborhood. The following sites are ones you can sign up for to become a delivery person and make some extra cash in your spare time. Do you have some extra space in your home? Maybe a garage you don’t use? Perhaps you have an extra parking space that you don’t use frequently? Well, you can make some money by renting those extra spaces. Airbnb isn’t just for renting out your full home; you can also rent out a room and get some extra money every month to help you pay your mortgage or rent. Sign up for the following sites to find people who need your space and are ready to pay! Finally, you can ask your neighbors to see what kind of services they need. You might be surprised by how many money-making opportunities there are waiting for you in your neighborhood. Think of things you love to do and what skills you have to offer! There are plenty of money-makers waiting for you when you get creative. There’s no need to live paycheck-to-paycheck and wonder how you’ll have some extra money to buy what you want. 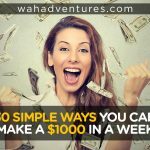 By utilizing some of these approaches, you can easily earn $100 or more every month just for spending a short amount of time on quick tasks. The more time you spend on money-making gigs, the more you can earn! What do you do for extra pocket money?